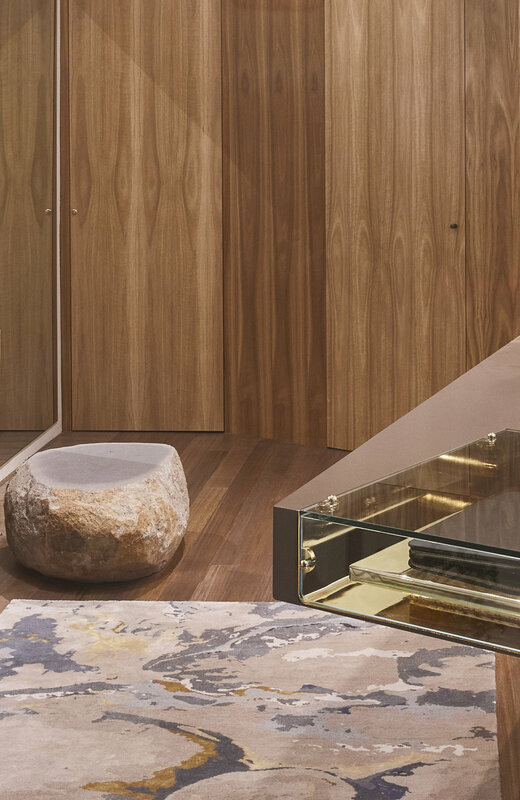 The space is anchored around a custom made counter containing a gold chrome display drawer fabricated in folded steel. Other locally derived elements have been brought into the Robinson Man to create the environment. Blue Stone from Ballarat, gives a raw take on the occasional table. 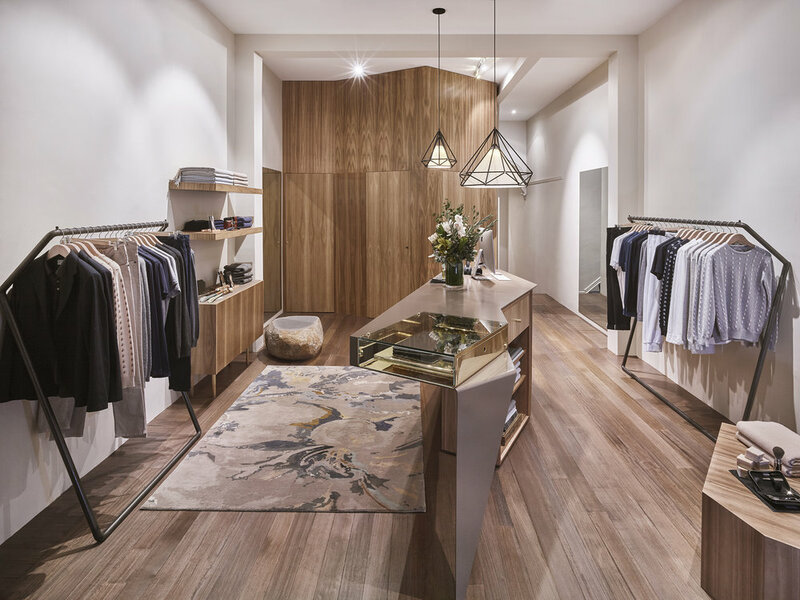 The fitting rooms and joinery made of spotted gum-creating an immersive experience and elegant backdrop to the luxury brands on display. Objects within the space were developed, modelled and supervised in manufacture by Caroline Comino.